Here’s a simple setup that I thought I’d share with you all. It is a way of emitting Thinking Particles as one object collides with another. The particles are actually emitted from the centre of the polygon of the colliding object, so not 100% accurate with the collision point, but hopefully you’ll still find it useful. The Xpresso isn’t too complex. Basically the Collision node checks if there is a collision occurring between the two objects, if there is it switches the PStorm node on. To decide where the PStorm node should emit from the Polygon Selection is used and all the polygons from the object are iterated through. The polygon centre is then passed to the PStorm node and used for position. Should be a nice preset to add to your arsenal of TP tools. Enjoy. but where can I find (place) the Emitter inside of Xpresso for putting in some geometry (particles)? This is great Tim thanks for the post – I’ve been meaning to work this out for a while but you have saved me the bother. Hello there, thanks for this nice scene but as asked before how can we see some visible particles ? You can use this post as a reference for adding geometry to particles. Thanks for the other great tips, I have try to emit the PSTORM from the collision using the R12 Dynamics (from your file) ..and it works fine. When i try to recreate the same Expresso I cannot figure out which the selection nodes is attach to ? and why the selction tag itself in the Object manager ad no polygone selected to it ??.. Is this make sense .. sorry english is not my main language ? @Gregg The selection tag is used to iterate through the polygons. If you want to use this collision method with Dynamics then it is a different approach. 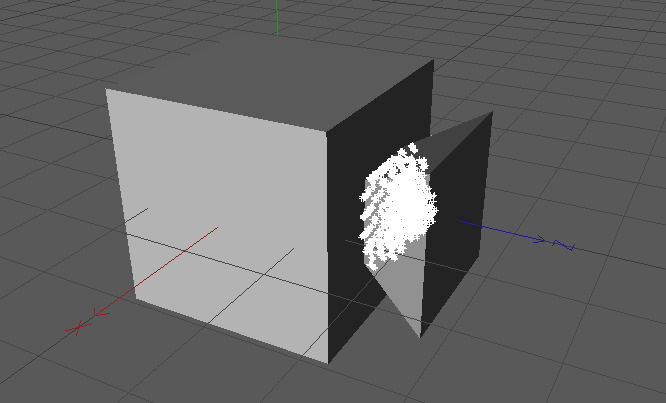 You need to use the Dynamics Xpresso nodes to determine the point of collision then create the emitter at that point. Perhaps I’ll make a tutorial on this..
Once again ,thanks a lot and til´nex time.